There’s no denying the catastrophic impact climate change is having—and will have—on the planet. 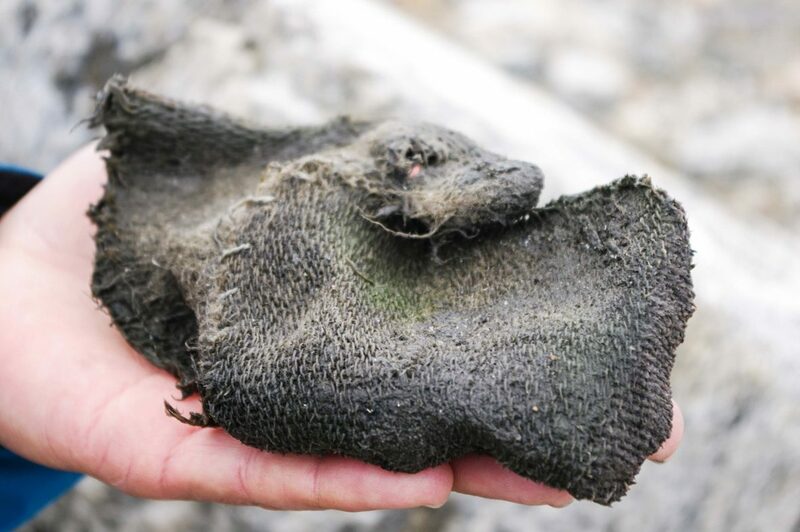 But in Norway, melting glaciers are revealing immaculately preserved relics from the Viking Age. 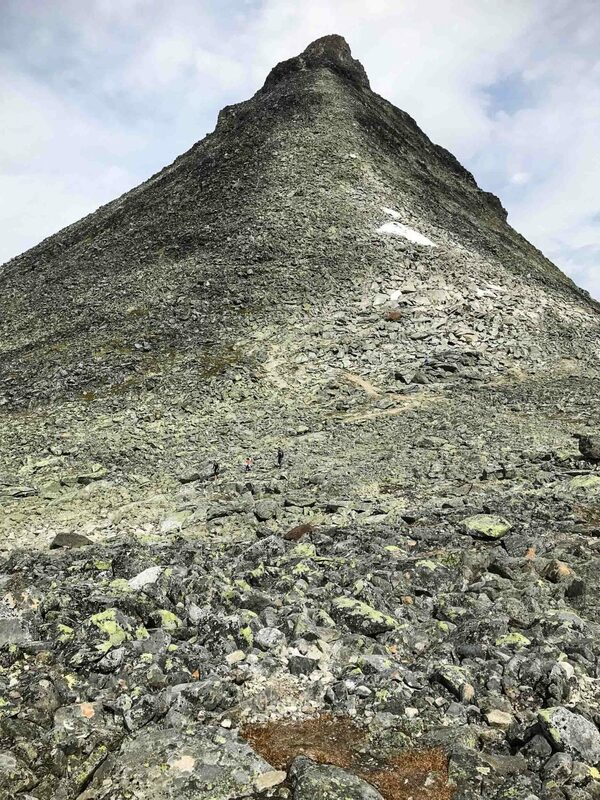 At the Leirvassbu Mountain Lodge, a way-station for Norwegian trekkers since the late 19th century, the young man behind the desk tells us what to expect on a day hike up Kyrkja summit, known as ‘The Church’ for its sky-piercing spire. “It looks like it’s straight up,” he says nonchalantly, “but don’t worry, it isn’t really. 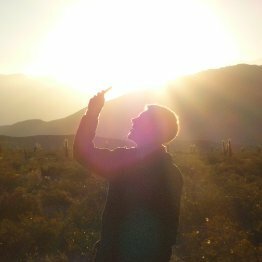 You’ll be able to pull yourself up using the rocks.” He mimes a sort-of mountain climber stance, alternately lifting his knees high and raising his arms overhead. I shoot my partner a glance. It’s just what we were looking for. We’re in the throes of Norway’s craggy mountainscape to explore Jotunheimen region, “home of the giants.” Three national parks converge in this region of central Norway, but Jotunheimen is arguably the most spectacular, with 250 peaks over 1,900 meters high, including the two tallest in northern Europe—Galdhøpiggen and Glittertind. Among the stone titans are alpine lakes and shimmering turquoise glaciers, chequering an ancient landscape of unspeakable beauty. It’s July and while the sun is out, the wind whips across Lake Leirvatnet. Kyrkja looms above the Leirdalen Valley, just a couple of miles of unmarked trail away, through a labyrinth of sharp rocks and boulders left behind by receding ice. From here, the spire at the top of ‘The Church’ looks brittle, almost impassable. Rumor has it that, as late as the 19th century, Kyrkja was thought to be too steep for anyone to reach the top. At the height of the Norwegian summer, only pockets of snow remain on the trail; the sun’s glow won’t ever completely disappear tonight. But all around us, glaciers hang in frozen indifference to the summer heat. Once upon a time, glaciers would have covered huge swathes of these mountains. Now, they are shrunken versions of their former selves. 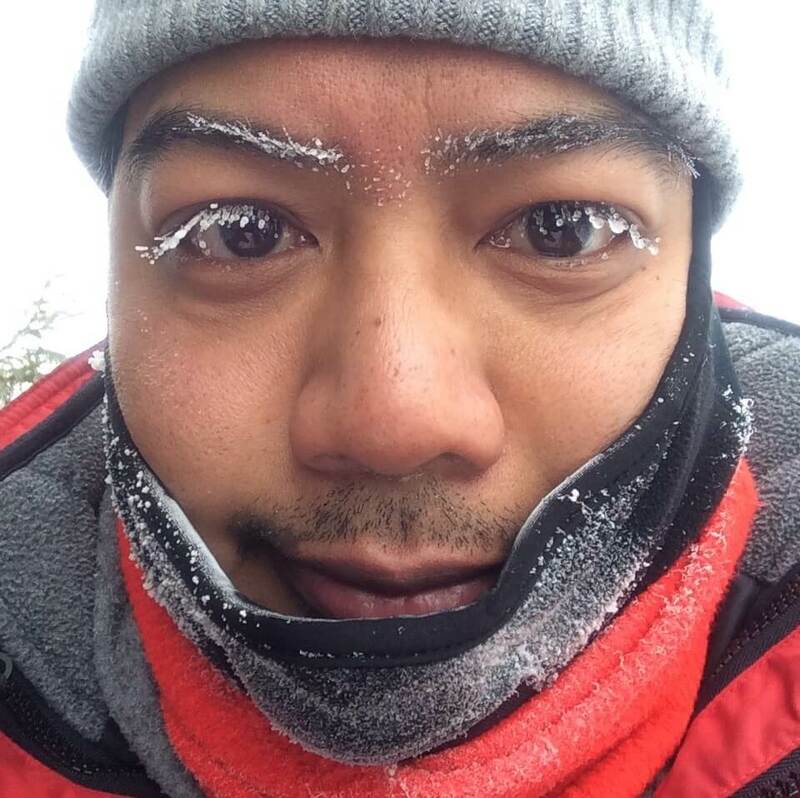 The glacial retreat is bad. Scientists cite the cause of receding glaciers as everything from the release of massive reservoirs of stored CO2 to rising sea levels to human displacement from coastal regions. But at Jotunheimen, something fascinating has been revealed by the melting ice: Centuries-old glimpses into Norway’s Viking past. 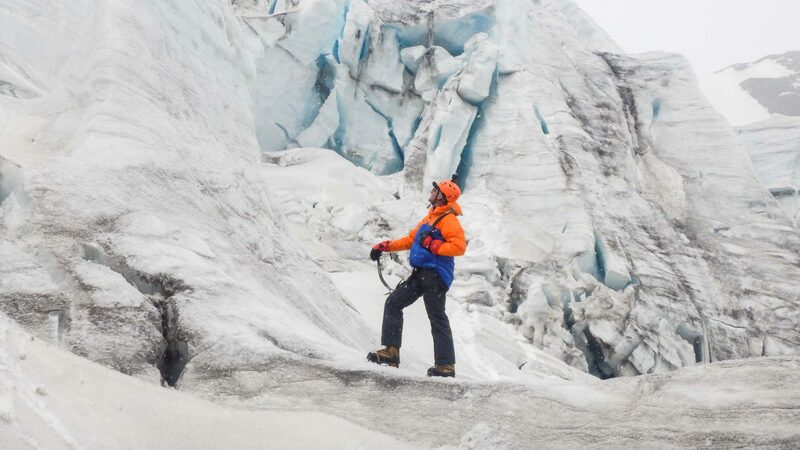 Glacier archaeology is a new frontier for studying the past. Even as recently as 20 years ago, glaciers were too impenetrable to bother investigating; archaeologists wouldn’t even have known where to focus their efforts. But because frozen objects are so well preserved, the rapid melting of ice around the world has revealed some spectacular finds, including Otzi the Iceman, a 5,300 year old mummy found in Italy; the bodies of World War I soldiers found in the Tyrolean Alps; and Incan child sacrifices from the Llullaillco volcano in Argentina. 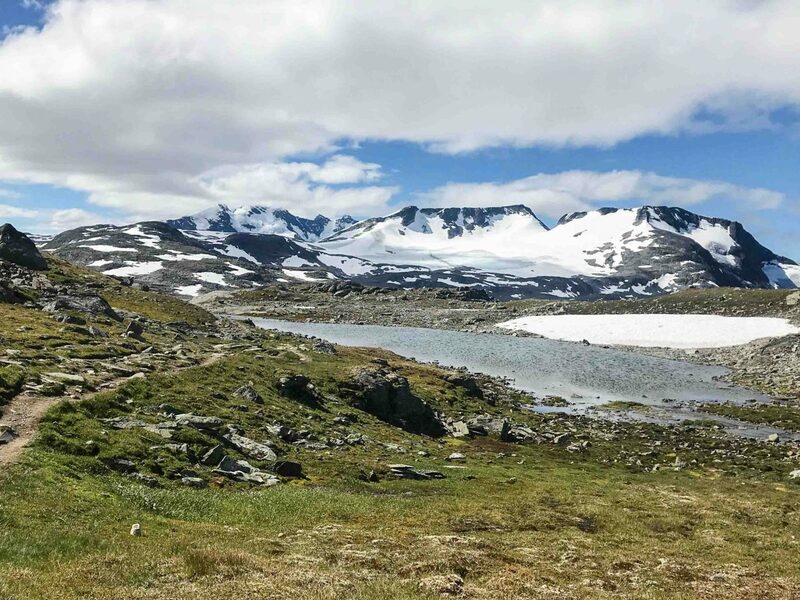 Since 2011, archaeologist Lars Pilø and the Glacier Archaeology Program, a collaboration between Oppland County Council and the Museum of Cultural History at the University of Oslo, have been following the retreat of glaciers in Jotunheimen and elsewhere in Oppland County. 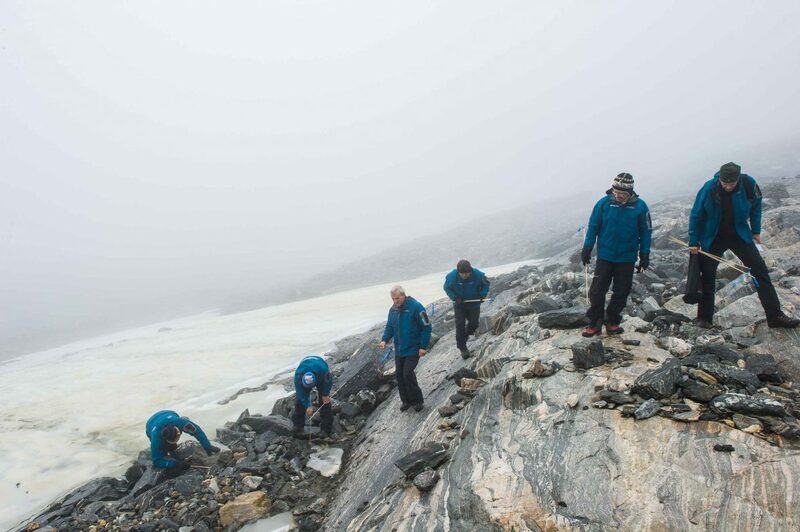 Through their research, they’ve documented evidence of human activity in these mountains dating back to around 4,000 BC, finding personal items abandoned by hunters, traders and others captured by the ice. There they have remained, trapped, for hundreds—even thousands—of years. Now, as the climate warms, the ice is setting them free. 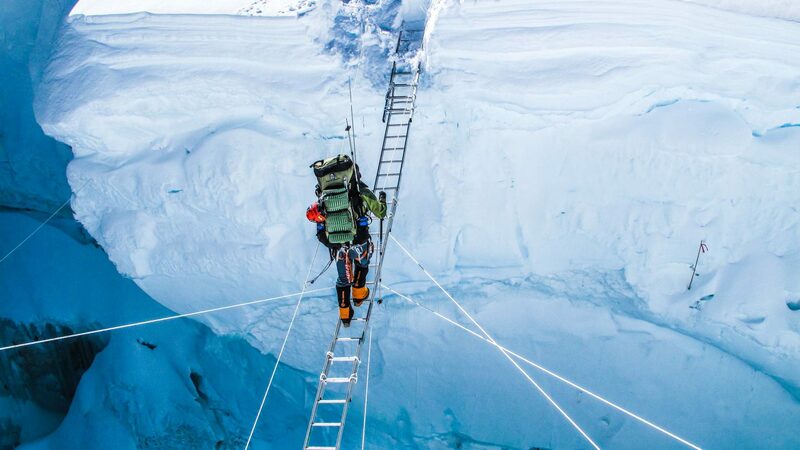 Archaeological work is often undertaken in extreme conditions—desert heat and tropical humidity are par for the course—but glacier archaeology is a different kind of challenge. 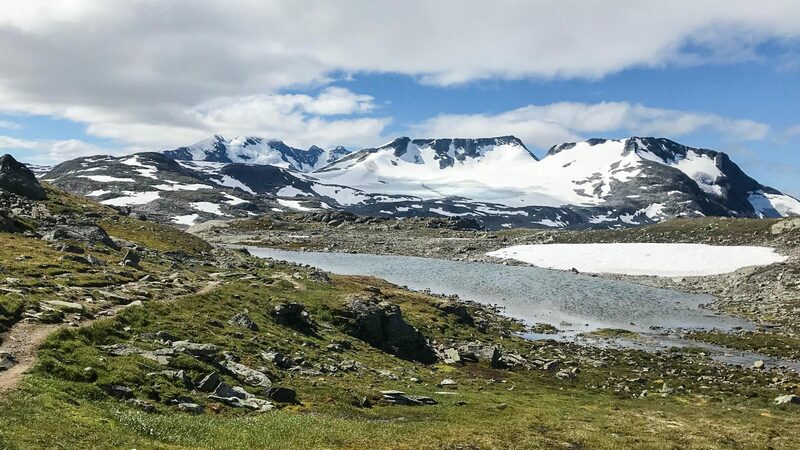 It’s so cold and snowy on the mountains of Jotunheimen that the Glacier Archaeology Program only has about a month each year, from mid-August to mid-September, to study the receding ice. Using vehicles is out of the question so they must literally climb mountains in order to carry out their work. Any artifacts they find have to be carried out on their backs or on packhorses. Their goal? “To rescue as many of the artifacts melting out of the ice patches as we can,” says Pilø. Some artifacts—a mitten from the Viking Age, a complete ski from around 750 AD, and a Viking spear—are nothing short of spectacular, not least because they’ve survived the danger of separating from their glacial womb. It’s those ice patches in the distance I keep my gaze on as we near the base of Kyrkja; anything to prevent me from looking up at the mountain’s needle point. The steep terrain and elevation, 14,000 meters above sea level, already have me breathless. My heart pounds so hard I joke that I may be having a heart attack. What’s a test of physical endurance for me was, for people in the past, just a part of daily life. Most of the artifacts Pilø and his team have found (more than 2,000 items so far) are dated between 800-1,200 AD—a period dominated by Norway’s Viking Age. For many in Norway and northern Europe, it’s an ancestral heritage they’re proud to recall—the Vikings are typically associated with seagoing adventures in which they played the role of explorers, warriors and raiders. 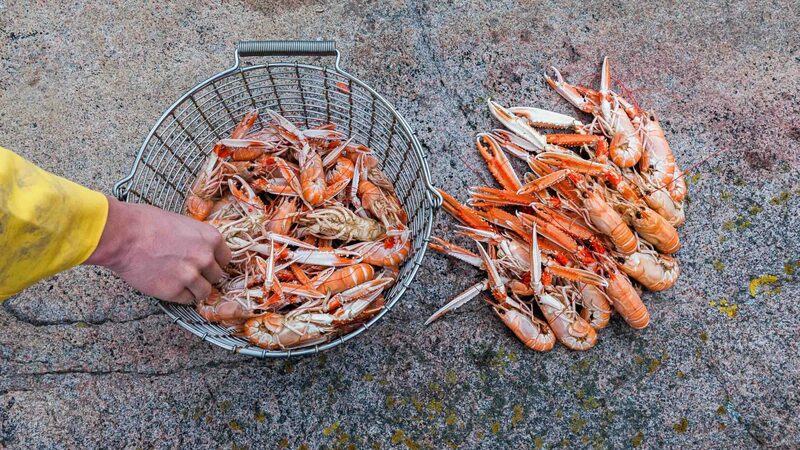 What receives less attention is the deep connection most of those who lived during the Viking Age had to the land, subsisting as farmers, herders and hunters. 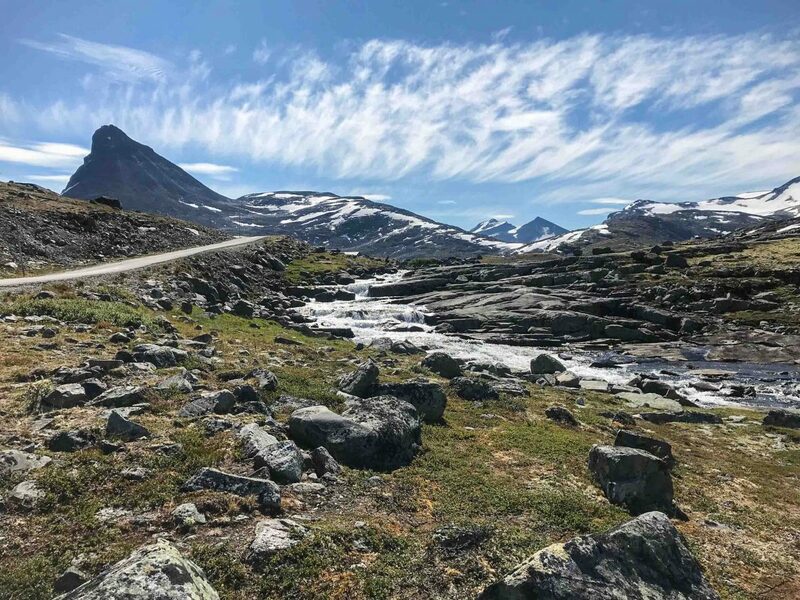 According to Pilø, it’s unlikely that there were any permanent villages or farms in the mountains of Jotunheimen, but people did settle in the valleys like Leirdalen where we began our trek to Kyrkja. 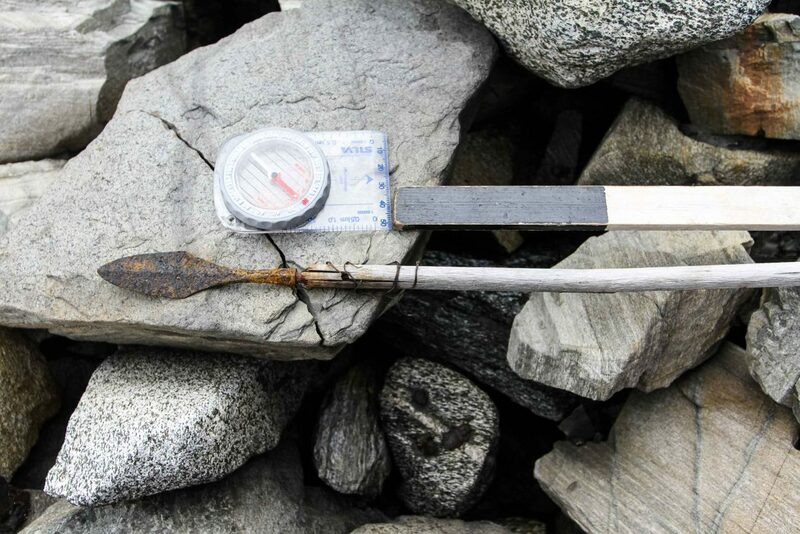 At higher elevations, the archaeological evidence points to itinerant passage and most of the finds collected by the Glacier Archaeology Program—things like bows and arrows, animal bones and farm equipment—are related to reindeer hunting and overland transportation. Some artifacts—a mitten from the Viking Age, a complete ski from around 750 AD, and a Viking spear—are nothing short of spectacular, not least because they’ve survived the danger of separating from the glacial womb that has protected them for so long. 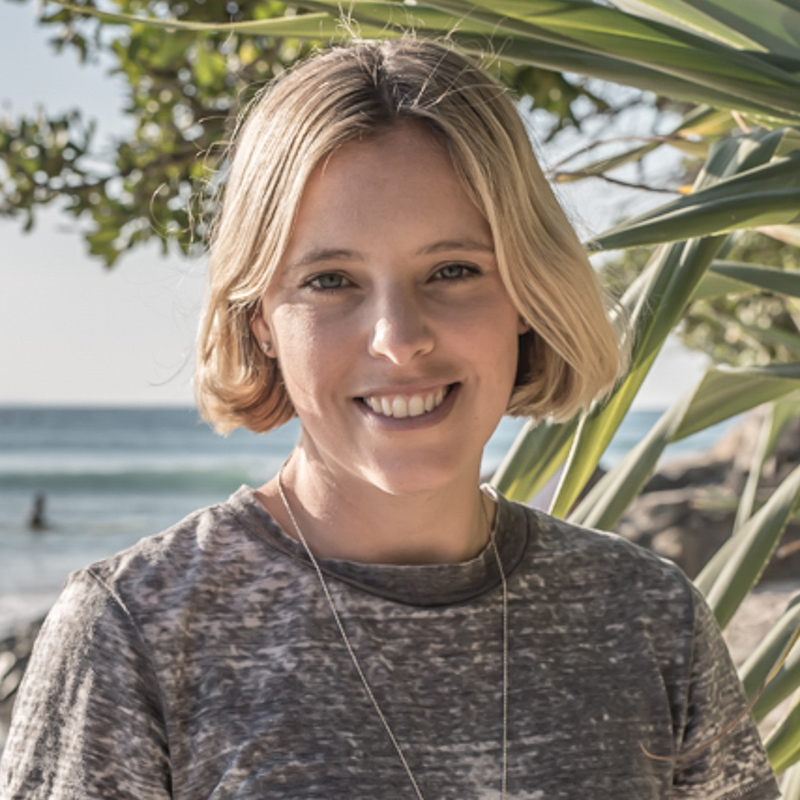 If unprotected by the ice, especially fragile materials can begin to deteriorate and become “susceptible to being blown away by the often-strong winds in the high mountains,” says Pilø. There’s no chance they’ll ever find all of the artifacts left behind. Taken together, though, these 2,000-plus artifacts are forming a picture of these mountains—not as an extreme and isolated environment, but as a place of continuous human activity going back thousands of years. Standing on the peak of Kyrkja, 2,032 meters up, ancient footsteps echo all around us. From here, with a 360-degree view of the park, you can see how little ice remains on the ring of peaks in the distance. 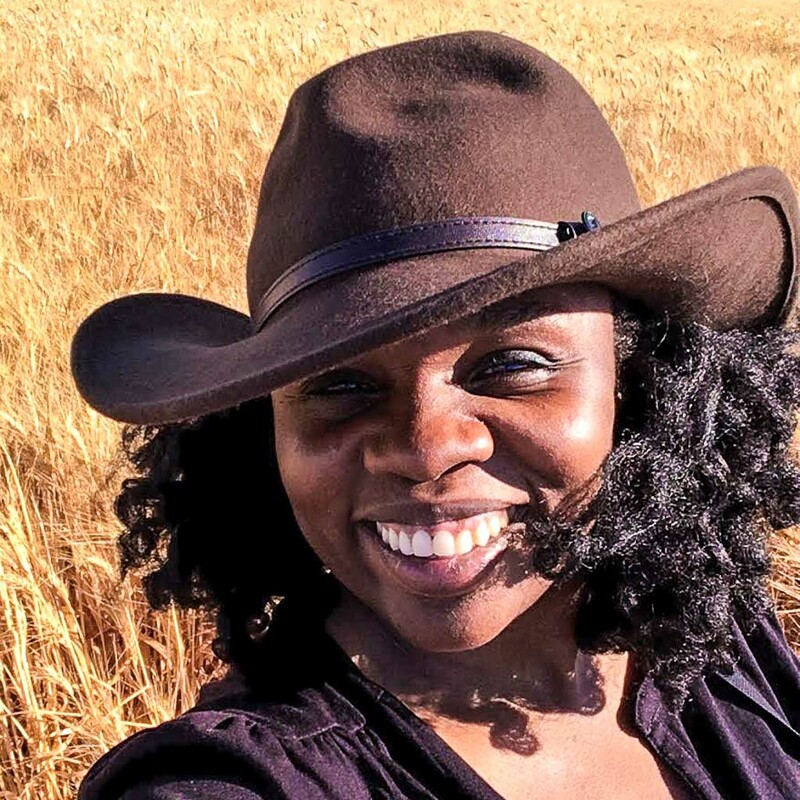 Shoshi Parks is a San Francisco-based anthropologist and freelance writer sharing stories of travel, history and culture. 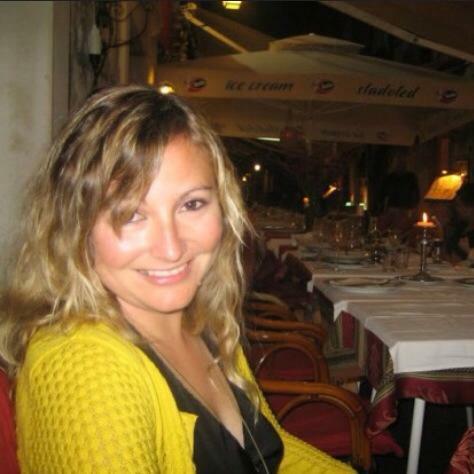 Her work has appeared in publications including Smithsonian Magazine, Fodor's, and YES! Magazine.